Sometimes, some mysteries can't be solved. Lucky for you, here are 25 facts about flowers we have elucidated. The ancient Egyptians considered the lotus to be a sacred flower. The flower thrives in wetlands and rivers and can lie dormant for many years during times of drought, springing to life upon the return of water. This association with resurrection and rebirth may account for its use in ancient burial rituals. Throughout history glue has been made from the juice of bluebell flowers. 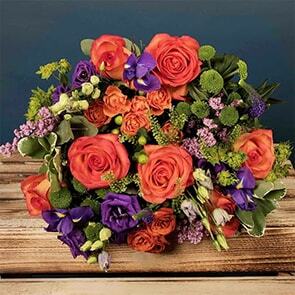 California provides more than 60% of fresh cut flowers grown in the America. The Maltese consider Chrysanthemums unlucky and associate them with funerals. Tulip bulbs were more valuable than gold back in the 1600s. The world’s oldest flower was discovered in China in 2002. Archaefructus resembles a water lily and first bloomed around 125 million years ago. Saffron comes from a crocus flower, is a spice and is very expensive. The ancients would ward off evil spirits during rituals by burning aster. Dandelions are an excellent source of vitamins A and C, calcium, potassium and iron. Although looked upon as a weed, one cup provides almost 13,000 I.U. of vitamin A.
Foxgloves were given their name due to the belief that foxes slipped their feet into the leaves to sneak up on their prey. With flowers more than ten feet high and three feet wide, titan arums are the largest flower in the world. Also known as corpse flowers they tend to give off the smell of decaying flesh. Closed by day, the Moon flower only blooms at night. Angelica has been used throughout history for numerous things. Including to ward off evil spirits, bubonic plague and even indigestion. Ladys Mantle was thought to have magic healing powers during the middle ages. When the Vikings invaded Scotland, their progress was hampered by fields full of wild thistle allowing the Scots to escape. The thistle has since become Scotlands national flower. Broccoli. Is it a flower or is it a vegetable? It is actually both. Bamboo releases 30% more oxygen into the atmosphere and absorbs more carbon dioxide compared to other plants. Because of these features, bamboo greatly decreases amount of greenhouse gases in the atmosphere and cleans the air. The native Indians used arrowroot derived from the plant Marantha Aruninacea to draw out poisons from an arrow wound. Today we use it to thicken pies and stews. Yarrow was used for healing wounds during World War 1. Achilles was said to be dipped head first into a bath of yarrow tea. Not only do flowers look wonderful. They may just save your life. Angelas Trumpet is used in shamanic rituals by Amazonian tribes. This beautiful looking flower contains highly potent toxins. The Oleander is even more poisonous. If eaten the effects can lead to seizures, tremors, coma and even death. Pickled marsh marigolds are used as a substitute for capers. Native Americans used Blue Cohosh, or squaw root, to ease the pains of child labour. Midwives today may use blue cohosh in the last month of pregnancy to tone the uterus in preparation for labour. Sunflowers track the movement of the sun throughout the day moving from east to west. There you go! Mysteries solved! It feels good right!? 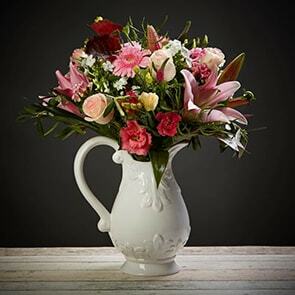 Looking for the most beautiful flowers delivered to your location? 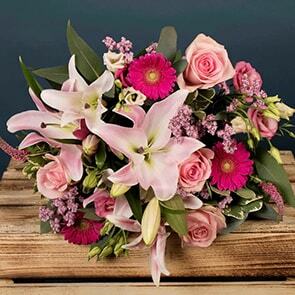 Browse our catalogue and send flowers online today. An answer from an expert! Thanks for cotrtibuning.